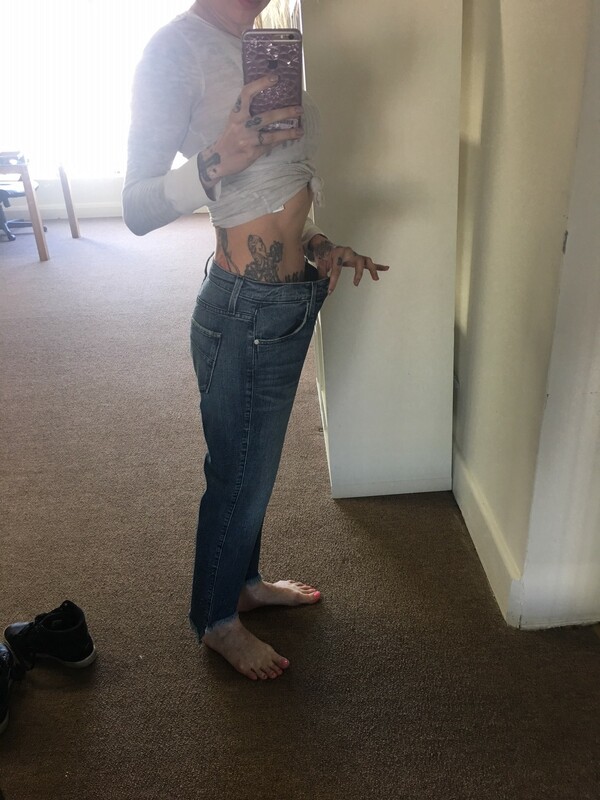 "Too big, these are supposed to be a simple fitted Hi-Lo Hem straight leg but they definitely ran big on me. These size 25’s fit almost like a 27 so unless you are looking for a more relaxed fit you should go with 1 to 2 sizes smaller than you usually wear. This oversized fit didn’t bother me with this particular style though so it may also come down to your personal style/preference."